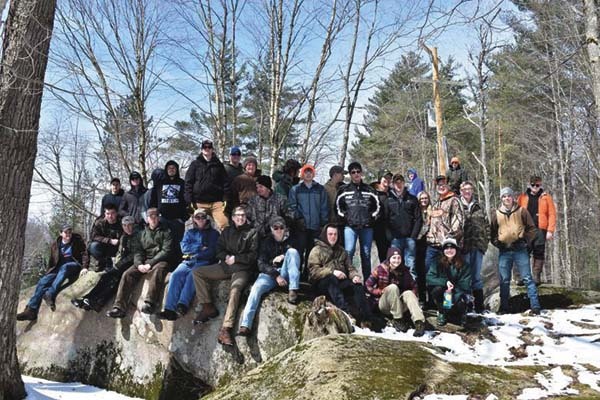 FONDA — Fonda-Fultonville High School students Aiden Boulay and Charles Yurkewecz, juniors, and Bryan Gray, a sophomore, recently participated in the first-ever “Into the Woods” forestry camp held at the Oswegatchie Educational Center in Croghan. The camp introduced high school students to career opportunities in the forestry and wood products industry and advanced the state’s efforts to support agricultural education programs. “I’m proud to announce the success of this program, which provides exceptional hands-on educational opportunities for our students, while connecting our young people with forestry and wood product professionals and opening new career pathways for the next generation,” state Agriculture and Markets Commissioner Richard A. Ball said in a news release. The program aimed to help participants learn first-hand about the career opportunities available in the forest products industry. Students with an interest in forestry careers participated in the free three-day training, where they learned about the basics of forestry management and timber production. 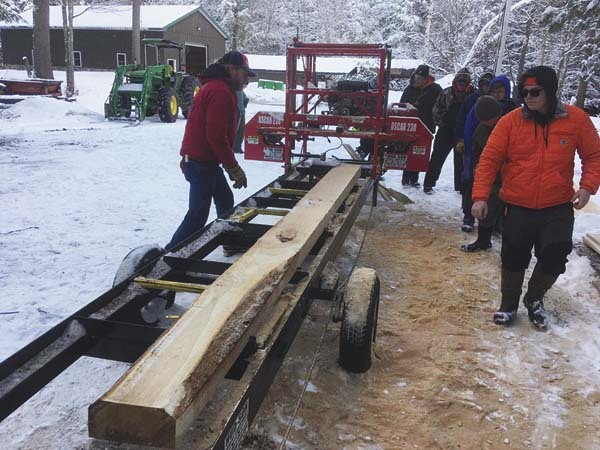 The camp included hands-on workshops conducted by public and private industry representatives, including employees of Hudson Forestry Equipment, LandVest, Baillie Lumber, Lewis County BOCES and SUNY-ESF Ranger School in Wanakena. Students learned about sawmill operation, safety practices, arboriculture and wood product marketing, team-building and leadership skills. The group also toured the Johnson Lumber Company. The event was sponsored by the New York State Wood Products Development Council, in coordination with the New York State Future Farmers of America Leadership Training Foundation, the New York Forest Owners Association and several private partners. New York’s forestry and wood products industry continues to be a major contributor to the state’s economy and a viable career choice. It generates $13.1 billion in direct output and provides more than 41,000 jobs.